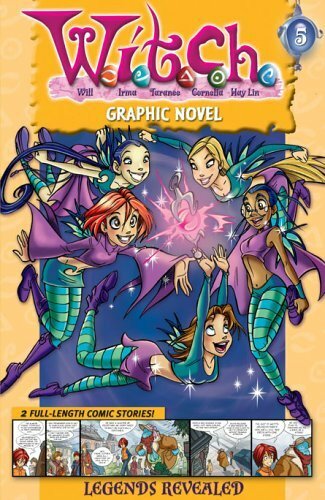 She's Fantastic: The Girls of W.I.T.C.H.! 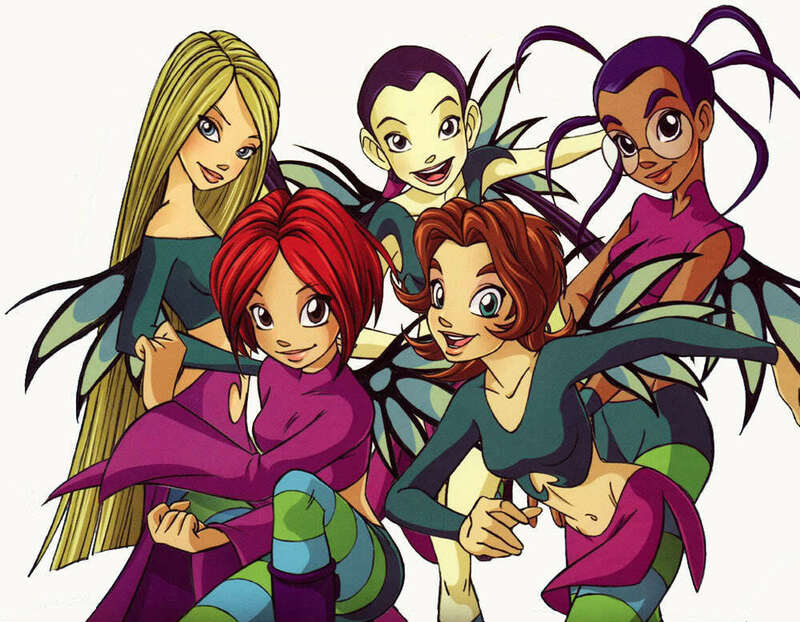 W.I.T.C.H. is an Italian Magical Girl comic book created in 2001. Like most magical girl properties, i.e. Sailor Moon, Winx Club, Angel's Friends, etc, W.I.T.C.H. 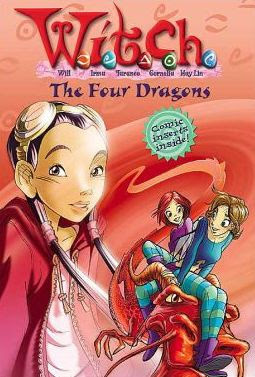 was extremely popular and was soon bought by Disney and turned into an equally popular animated series by 2004. The comics are currently being released in America in digest form and show up regularly at my lcs. 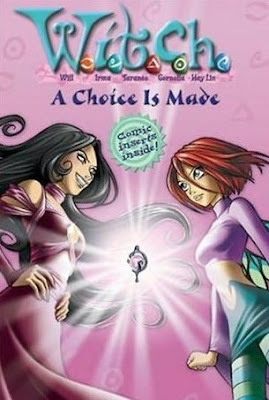 W.I.T.C.H. 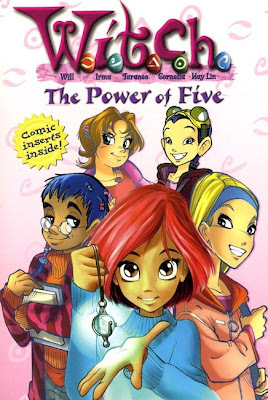 follows a typical magical girl premise of five girls (Will, Irma, Taranee, Cornelia, and Hay Lin - catch the acronym there?) being granted elemental powers to perform a task. In this case, they are guarding portals to other magical realms. Despite the popularity of the comics and cartoon in the US, there has been very little merchandising of the property here. 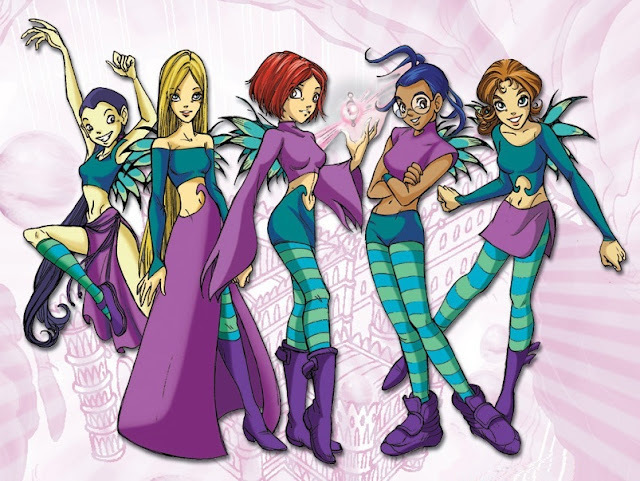 And frankly I find that a little surprising because the character design is very catchy - matching outfits, cool style, witchy stripes, and fairy wings... how can you beat that? 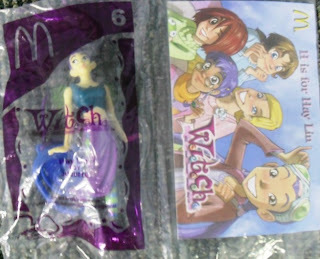 Well in 2005 McDonalds released a series of 6 figural keychains that I personally think top all the Italian dolls and Kinder figures on the market. (After the keychain loops got chopped off at least). Let's check them out! Here are images of the complete keychain versions first. All the following pictures will show the figures after I have taken an Xacto blade to the woven loop anchored to their backs. 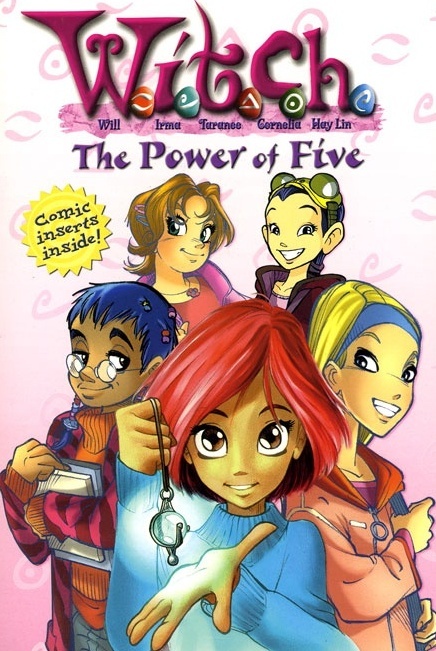 It should be noted that their plastic charms are indicative of the color and symbol of their individual elemental powers. My Irma has a skuffed up nose. And finally we have my least favorite of the group. I don't know much about her (apparently she's a Princess-turned-villain), but what I DO know is that she's out of proportion with the rest of the set, too pre-posed, and seemingly of different style altogether. I think overall this is a failed attempt to portray youthful innocence. Here are an assortment of images from the comics and cartoon. See how out of place Elyon looks? Yes. I admit it. I have all of these. I was just researching Italian toy lines last weekend and W.I.T.C.H. kept popping up in my searches. I would love to see more action-figure styled figures of them. The comics seem pretty popular at my lcs here in the US.